Satoshi launched the first Bitcoin version, the Bitcoin 0.1. He did it on the Cypherpunks mailing list. In November the previous year, Satoshi published a paper in the mailing list explaining the concept and design of the Bitcoin network. Some people recognized the potential of the Bitcoin earlier than others and speculated that there is indeed an opportunity to make money through this revolutionary digital currency, especially for early users. According to Hal Finney, if Bitcoin proceeded to become a reserve currency, the worth of each Bitcoin could end up being $10 million. The first transaction of the crypto-currency is initiated as Satoshi Nakamoto trades his first Bitcoins with Hal Finney. Bitcoin proceeds to attract curious users, surely but gradually. The slowly growing popularity and interest in Bitcoin proceeds on adding a first level up in the mining of Bitcoin. The Bitcoin network has an automated system which allows it to set different levels of difficulty pertaining to the harvesting of new Bitcoins so a fresh batch of Bitcoins is created every ten minutes. But by this date, there so many Bitcoin miners the network was forced to increase the difficulty so Bitcoins can’t be produced so rapidly. Laszlo Hanyecz becomes the first person to ever spend his Bitcoins in a real financial transaction. Laszlo gave 10,000 BTC for any person who would be willing to order a pizza for him. Turned out, someone ordered for pizza for him. The value of the Bitcoin at the time was $0.0025. The value of those 10,000 BTC today would be $8 million. Slashdot, an immensely popular technology news website, takes keen interest in Bitcoin, running a story which in turn resulted in an influx of demand for the new digital currency. The US government shuts down WikiLeaks’ (a transparency group) ability to get funds. During the same time, a random Bitcoin user suggested WikiLeaks should consider investing in Bitcoins, which further creates a fluctuation in the price of the Bitcoin due to the controversy of WikiLeaks. Satoshi Nakamoto published his final post on the Bitcoin Forum and a couple of months after his message he completely stops contributing anything to Bitcoin. Andressen becomes the new Bitcoin lead developer. No one knows who Nakamoto really is. Some say he’s one man, some say it’s a whole group of people. Still, no one is sure. There is a price increase in Bitcoin and it reaches parity with the USD. Jerry Brito published what was going to be the first official review about Bitcoin targeted at the mainstream media and other organizations. The media attention considerably aids in a further hike in Bitcoin prices which in turn amps up demand for the currency. Bitcoin increases in value and ends up rising over $30, but then abruptly loses value. A Bitcoin users claims he was robbed by hackers and they took over 25,000 BTC which had an estimated value of $500,000 at the time. Looking at it today, those BTC would be valued at $20 million. The Bitcoin price goes down to to $2 and by December of the same year it rises again to $5. The Bitcoin Foundation is established. The Foundation becomes known as a semi-official safe haven for the digital currency and starts off by paying Gavin Andressen (lead developer) a monthly salary. A Bitcoin start-up by the name of BitPay emerges, a platform which provides merchants various Bitcoin trading solutions. BitPay ends up raising $510,000. Bitcoin prices increase substantially and jumps up to $266. At the start of the year, the price of one Bitcoin was $13.50. However, by the end of the week, the value of the currency went down to a mere $50. 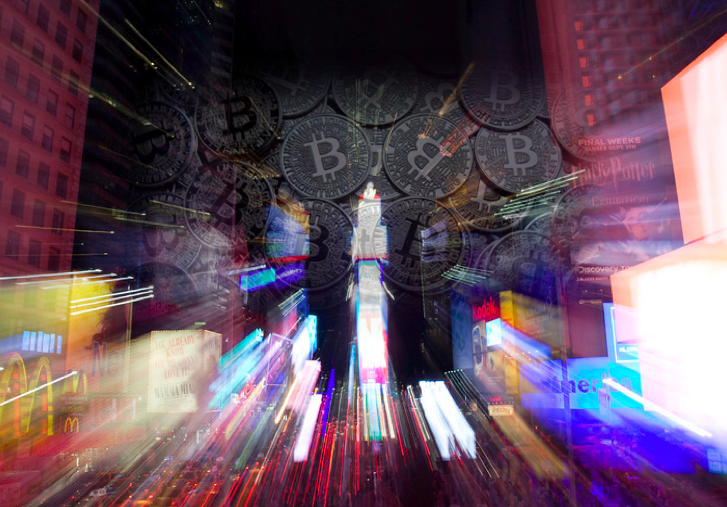 The US government holds a meeting and a congressional hearing regarding Bitcoin. Two days after this hearing, another hearing is conducted by the Senate Banking Committee. The meeting and hearings are nothing more than a positive indicator. Federal regulators emphasized on what can be done to further add to the success of the digital currency and not to impede it in anyway. Bitcoin soars to exponential levels, having a price of $1,242 per Bitcoin. To, conclude Bitcoin is now regarded as a lucrative and smart investment tool and there are many investors who actively trade with Bitcoins and have become wealthy.